For the NEW Parts Manual for the MF800!! For the NEW Parts Manual for the PMA1000!! For the NEW Parts Manual for the AMA-450!! Parts and Service for these enduring legacy machines! River Valley Machinery, Inc. was the sole representative of Maquinas Pinheiro Ltd. in the United States when they were manufacturing machines. Pinheiro closed their doors in 2010, but there hundreds of their machines still in use. Today, we supply in-stock parts and provide expert service for the complete line of Pinheiro planers, planer molders, planer ripsaws and ripsaws. As part of our service we also offer tooling and dust collection for these machines. In addition we offer a line of reconditioned Pinheiro machines with full warranties. We also offer parts and service for the Yield Pro machines developed by the now defunct Auburn Machinery. River Valley Machinery, Inc. is proud to be an authorized dealer for the new Kalin Timberwork planer in the United States. Our customers range from Log Cabin and high-end wide plank flooring manufacturers to concentration yards and small-to- medium sawmills. 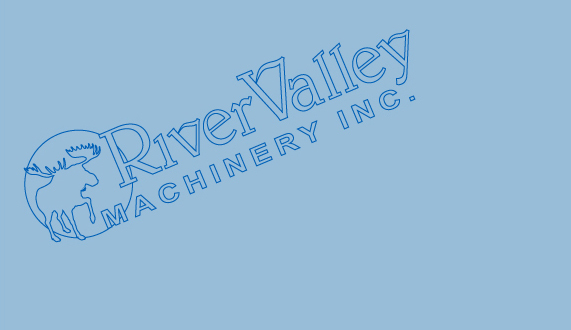 Located in a former planer mill in East Livermore, Maine, the crew at River Valley Machinery offers expert advice and decades of experience in the wood business.